Off we go to Paul Ricard ! Round One of the new mini-series, the European Endurance Legends Cup (EELC) is being held over the weekend of 24th /25th March. 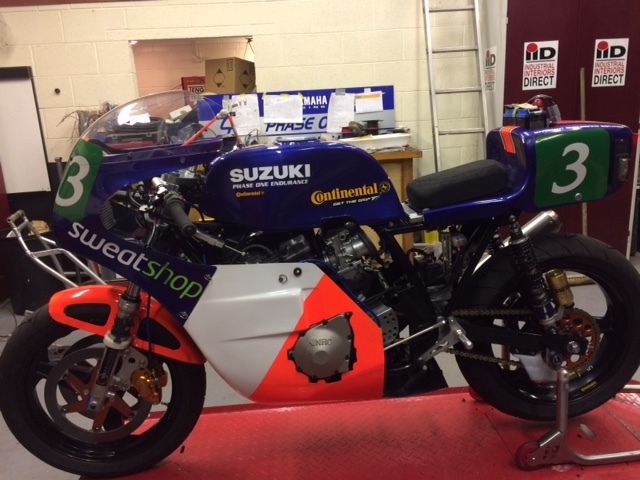 The team will be contesting all three rounds on its brand new P&M GSXR1100 Suzuki, which has just been finished in the nick of time – see the debut photos below. We are all excited and intrigued about just how well it will go; so far there has been no easy comparison with any known reference. All we know so far is that it has better brakes and is a darn sight lighter. 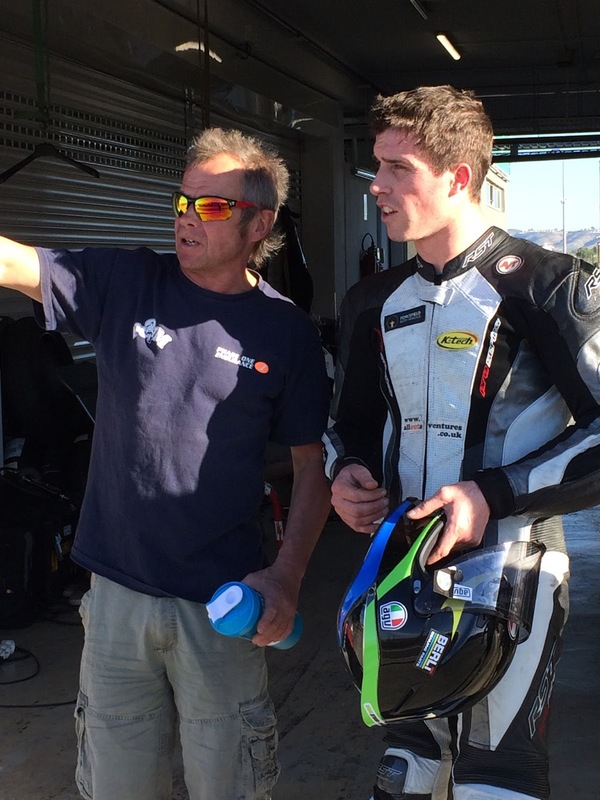 Perhaps our best experience will be to welcome back our old team rider, Graham Gowland, at Paul Ricard. We all met up again at our Valencia test and it seemed just like he had never been away. 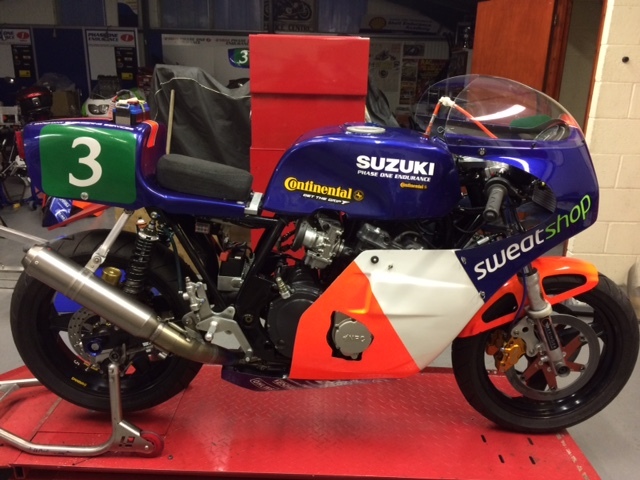 It will be great to have his friendly face and good humour around the classic endurance paddock. Peter Lindén, Hugh Brasher and Graeme Gowland will make a superb team. This race is almost all in the dark, starting at 8.00 pm and finishing at mid-night. Just up our street. Previous Previous post: 2018 – The Plan ! Next Next post: Paul Ricard – A great result !